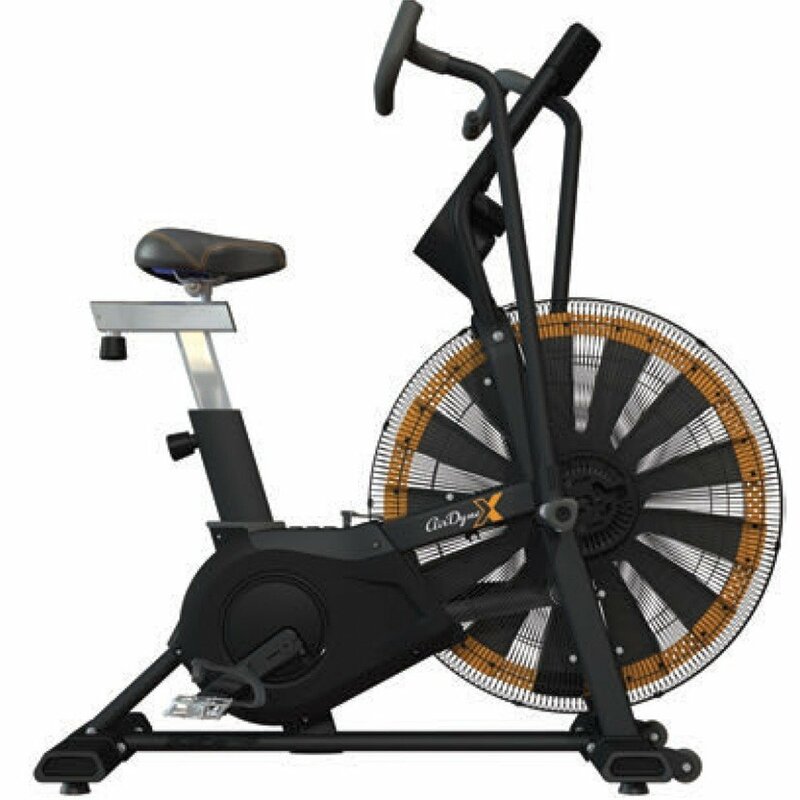 Get effective, versatile, and low-impact cardio workouts with this exercise bike designed to respond to the power you create. 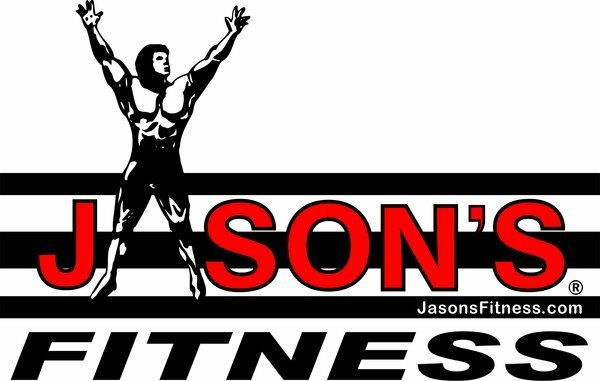 Because you are the power, you control your workout’s intensity level and level of resistance. 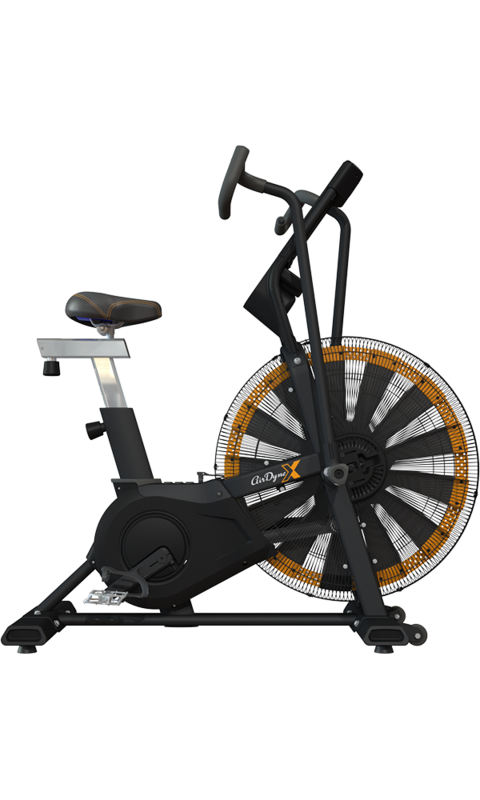 The innovative console is easy to navigate, and the digital display keeps you motivated with essential workout stats including, heart rate, RPM, distance, watts, and calories burned per minute. 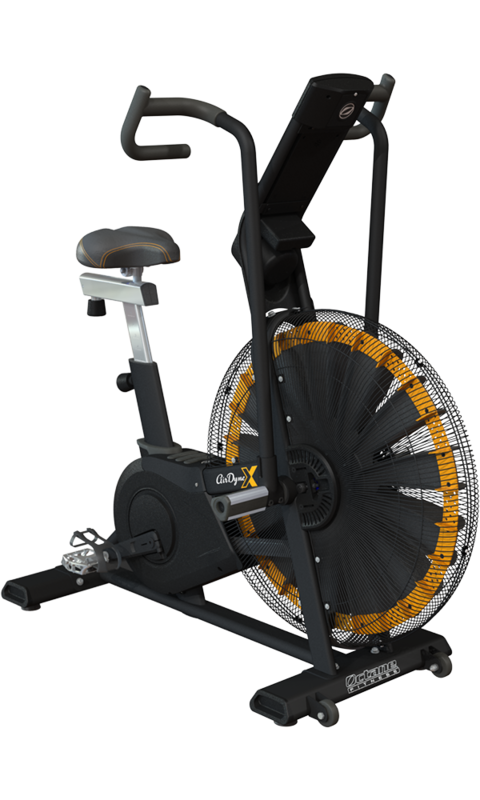 Does the AirdyneX provide a total-body workout? You bet. However, if you want to target different upper body muscles, the cushioned Multi-Grip handlebars allow for both horizontal and vertical placements of your hands. Plus, the stationary anti-slip foot pegs allow you to comfortably, and safely, focus on your upper body. 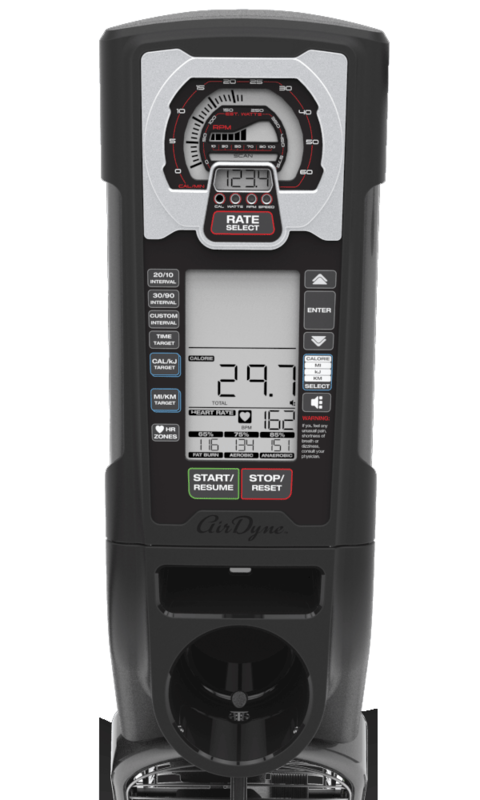 The 26-blade performance fan and a weighted inertia ring provides progressive wind resistance with a smooth motion. These unique features maximize your input, while delivering safe start-ups and slow-downs. Get more from your workouts. The AirdyneX’s belt drive responds immediately to your efforts, so none of your power is lost in the transfer.